Chamaecyparis belongs to the species Conifer and is part of the Cypress family Cupressaceae. This type of tree is native to eastern Asia, in specific Japan and Taiwan, and some Northern states of the United States. Chamaecyparis are dwarf growing Cypress trees. In general, the trees and bushes are small to medium size and evergreen. The name is a combination of the two Greek words khamai (translated ground) and Kuparissos (translated Cypress). The old Romans and Greeks called Cypress trees the Mournful tree. Even nowadays, these plants are often planted in Christian and Muslim cemeteries to protect against evil spirits. Cypress wood is commonly used in coffin construction. It is believed that Cypress was one of the woods used in Christ’s crucifixion cross. Cypress stands symbol for sacrifice, death, and mourning. There is even an old myth behind this symbolism. It’s about the beautiful young boy Kyparissos; he was living on the island of Kos and beloved by the god Apollo. Kyparissos had a special bond with a mythical deer, the animal was tame, and Kyparissos was very fond of him. One afternoon when he was hunting, he threw his spear into a deer in the shade. It turns out to be his favorite deer. Kyparissos was inconsolable and begged Apollo to let him grieve forever. The god then turns him, with pain in his hart, into a Cypress. 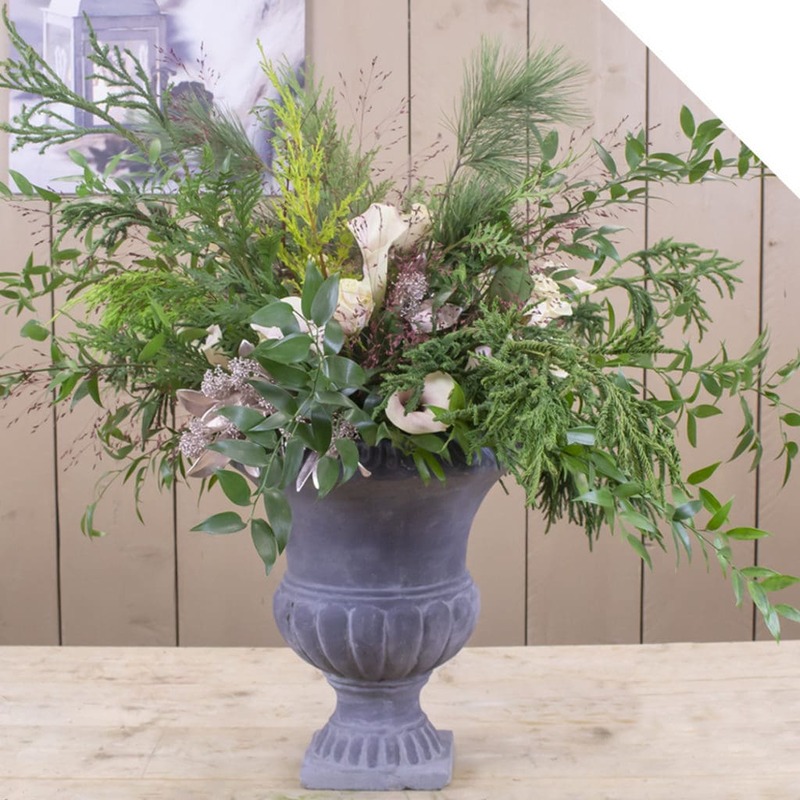 Chamaecyparis is available during the winter season, with a peak around the Christmas period. There are a lot of different types, with varying shades of green, yellow, red and even with blue tones. Hard to choose your favorite? There are mixed kilos available, with different colors in one. Available in our webshop from November until February. 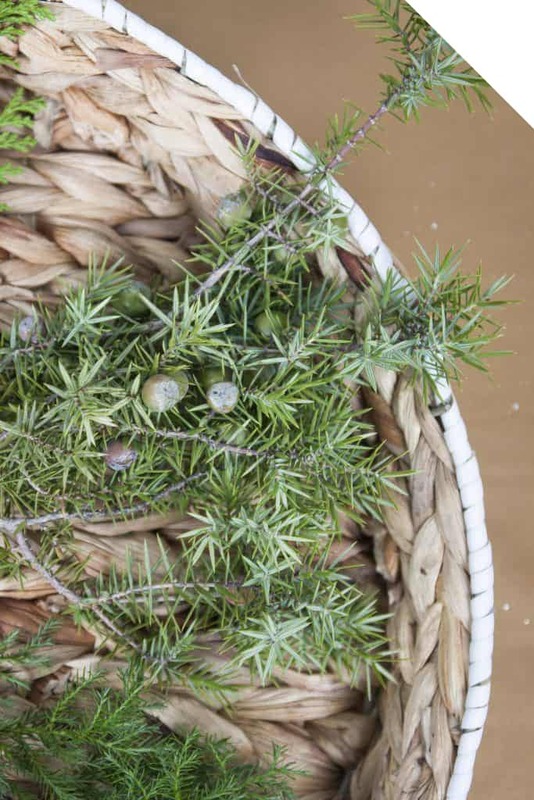 Chamaecyparis offers endless design possibilities, thanks to the subtle color differences. 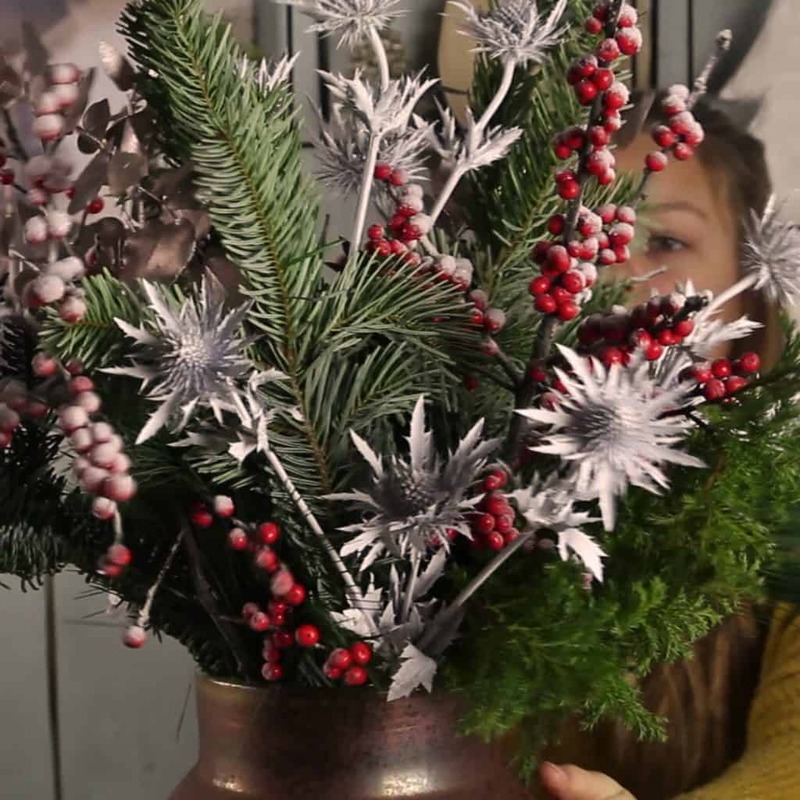 Because of long durability, you can use the leaves in Christmas pieces, flower arrangements, Christmas wreaths, bouquets and unique Christmas decorations. Looking for some inspiration? The leaves combine lovely with the colors red and white (think about Ilex, Tulips, Roses, Amaryllis). 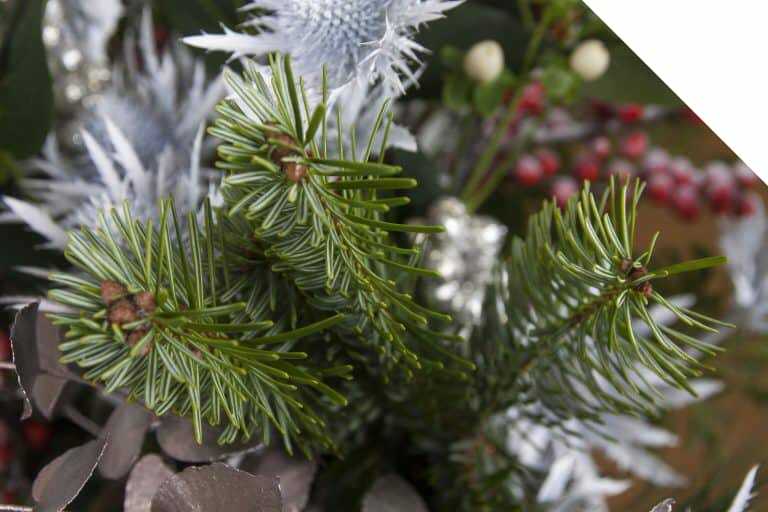 Or go for a shiny Christmas experience with Platinum painted Hypericum, silver painted Eucalyptus, white painted Betula Pendula, red painted Echeveria, or pink Genista. 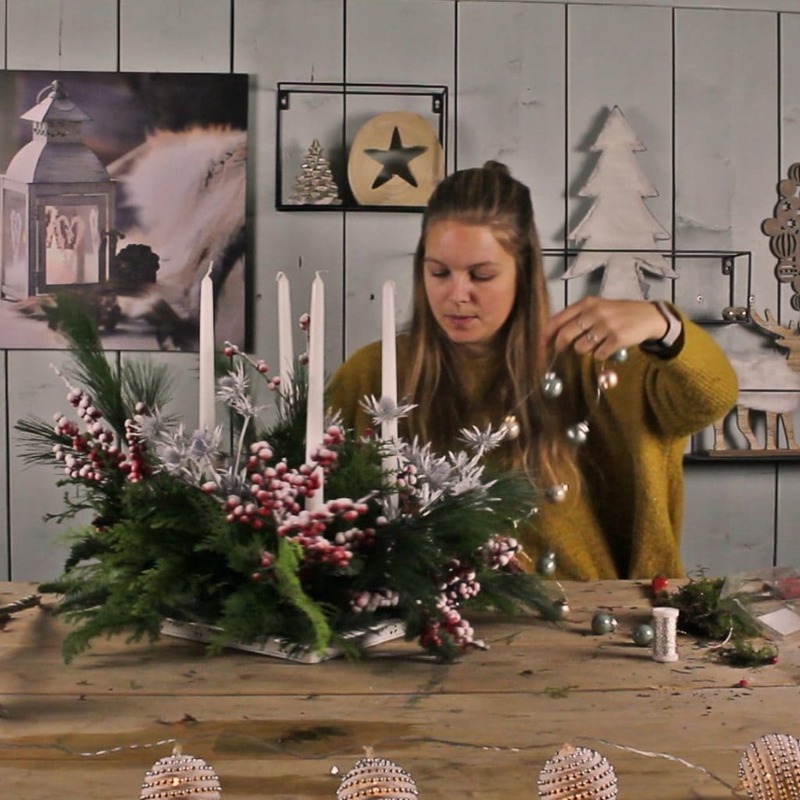 Make a classic Christmas centerpiece with Chamaecyparis, Pinus Strobus, white Roses, Astrantia and a big candle. Check the leaves when you receive them, they should be firm and not dry. Best kept dry in a cooler with high humidity. 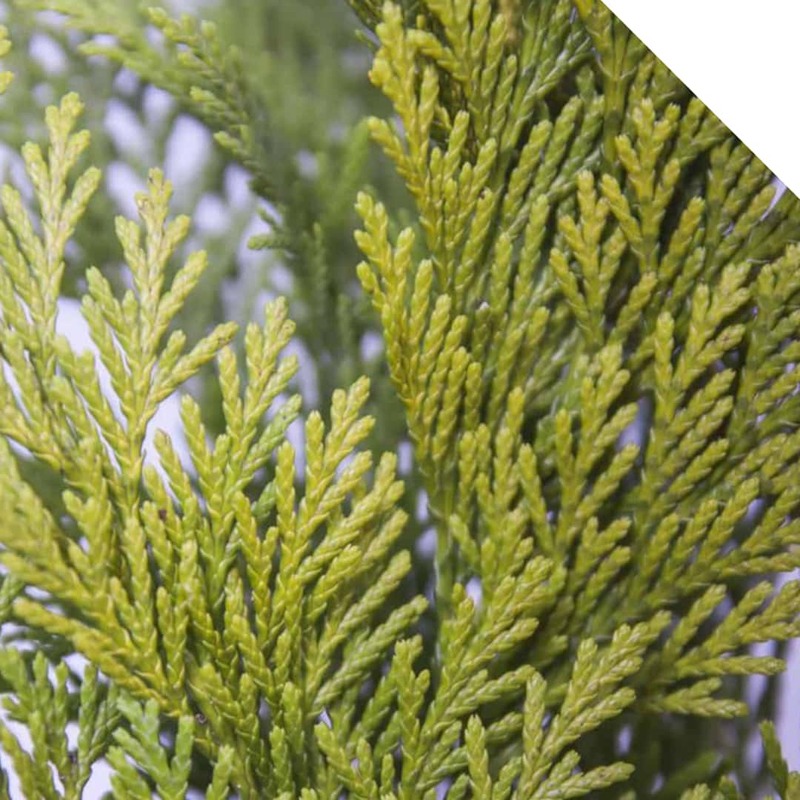 Chamaecyparis has a long durability, but warm and dry conditions cause failure of the needles. So be aware of the right temperature! Cut with a sharp secateurs when you are going to use the branches.